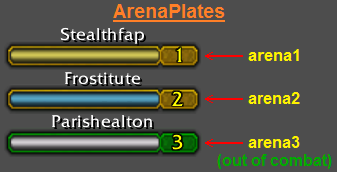 I think it would be very useful to add NAMEPLATE_SHOW/NAMEPLATE_HIDE events for when a nameplate appears/disappears from screen, with the first parameter of the event being a reference to the nameplate frame. Also it would be very useful to have the UnitGUID stored on the nameplate. This changes would make the implementation of nameplate addons much easier and they would have better performance. It's been on the wishlist for years, and I would add to your suggestion that the 1st param should be the nameplate ID, not the actual frame or framename.